I got an A1. 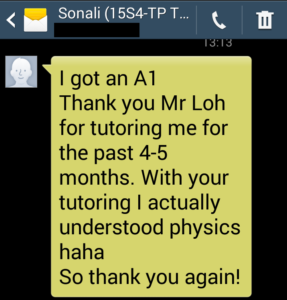 Thank you Mr Loh for teaching me for the past 4-5 months. 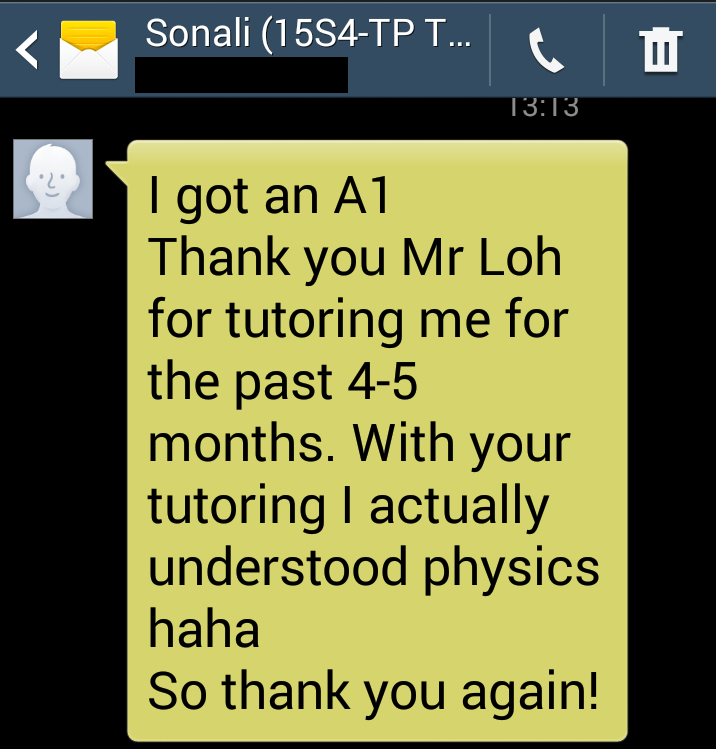 With your tutoring I actually understand Physics. Haha. So thank you again!